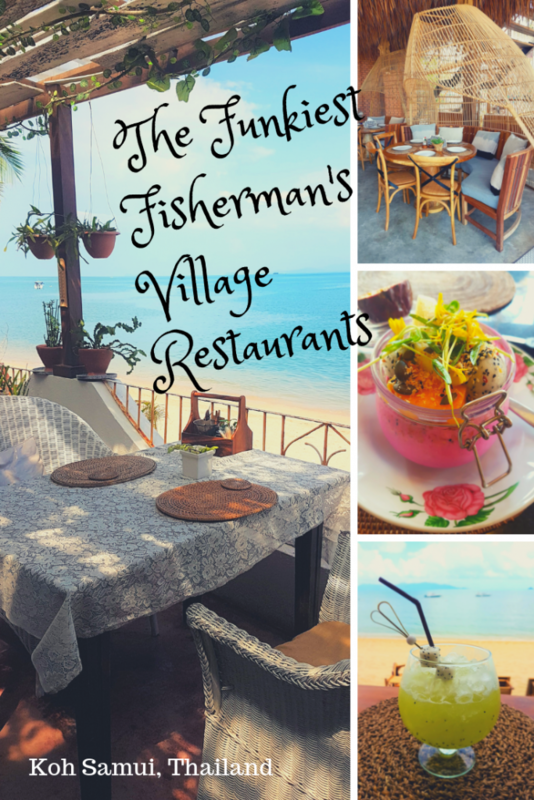 Fisherman’s Village restaurants on Koh Samui, Thailand, can be quite touristy and expensive but also super funky! I stay mostly on Koh Phangan and the vibe here is completely different. More down to earth. But I loved the places in Fisherman’s Village too! Here are my fave food joints for you to explore, in no particular order. 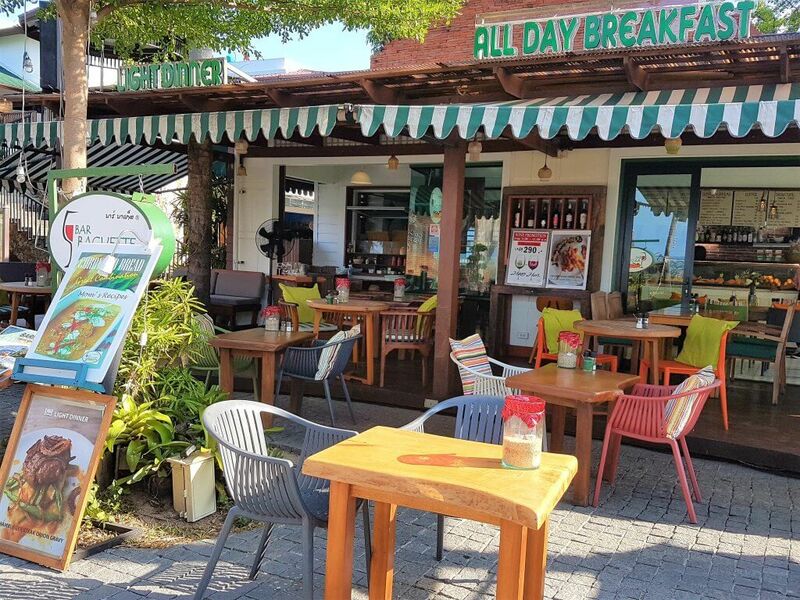 This wonderful little coffee shop is an excellent choice for both lunch and breakfast (dinner is also possible)! 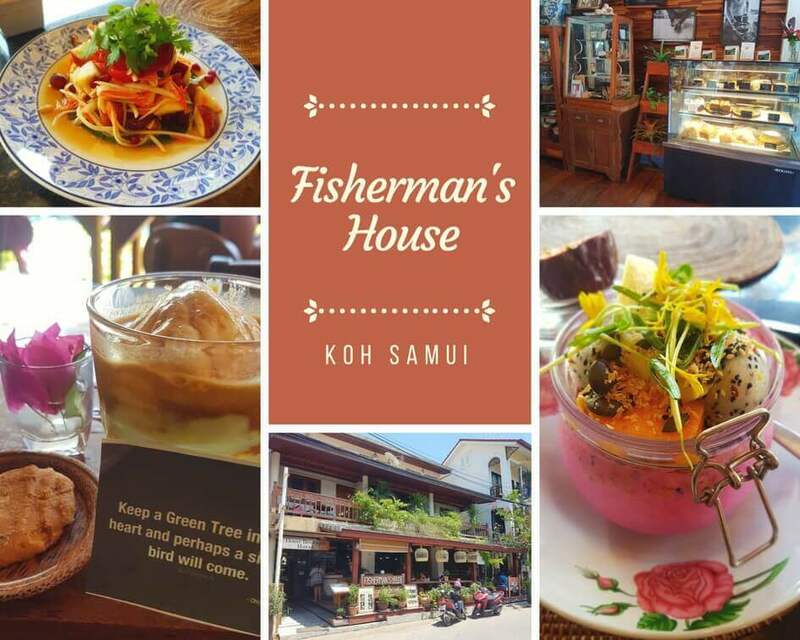 When you’ve had enough of Thai food and crave for western food, especially bread and/or good coffee, this is the place to go in Fisherman’s Village. You can sit inside where there is air-con or choose the alfresco area with a nice breeze from the sea. On top of this, it really is a great place to watch the world go by. It is not the cheapest cafeteria but (they seldom are in Thailand) if you need a caffeine fix they do have quality products. The sandwiches and bread here are particularly tasty. Coming from Finland, I appreciate darker bread and not the plain white, wheat bread which has no fibers. The mozzarella pesto one was yummy and we ordered a Greek salad to accompany it. As always in Thailand (cheese here is super expensive), they were very sparing with the Feta cheese cubes and the salad portion itself was not too abundant either. They have Thai/Asian dishes also on the menu but I didn’t try them. When you have such fantastic bakery products, both sweet and savory, it’s better to stick to them, in my opinion. 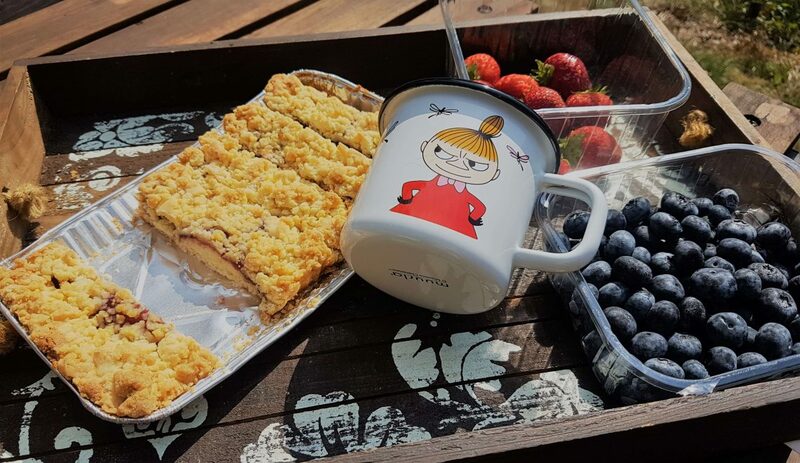 My Mum and I can never resist a piece of cake, cinnamon roll or delicious pastries. To be honest, I can’t remember what my Mum chose but I do remember that it didn’t let us down. We had it back at the hotel when we made some instant coffee later on in the afternoon. The hot weather takes its toll here and you are tempted to drink coffee a bit too often (or late at night) making it hard to sleep. By the way, guess who’s going to put the kettle on now while typing this?! 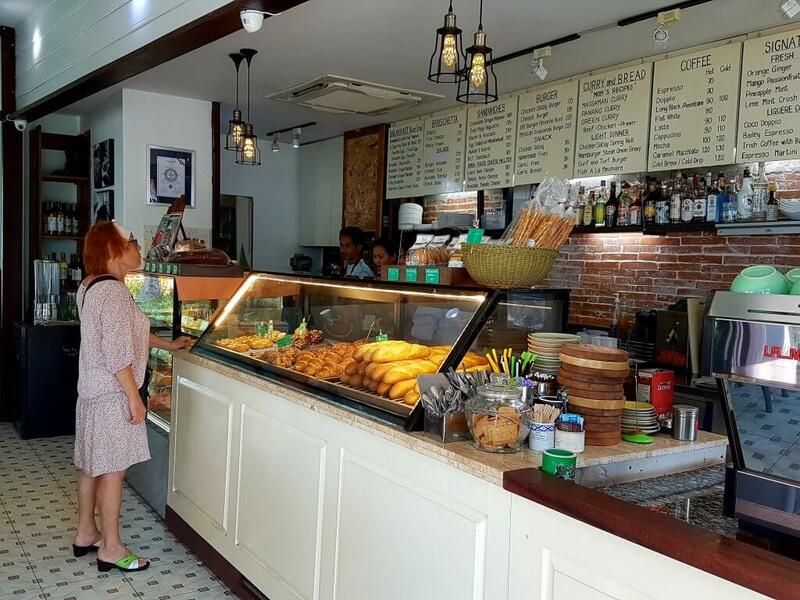 In addition, the service at Bar Baguette is very friendly so this is a place you’ll definitely want to re-visit. Coco Tams is exactly something you would think you would find on a tropical paradise island. Ok, here they have taken the concept up a notch and it is not just a beach bar with coconut and palm tree decorations. You can see that the whole concept is thoroughly planned. Or how would you feel sitting on a swing while waiting for your drink at the bar? When the sun starts slowly going down you can also get comfy on the Lazy boys while sipping your Mai Tai and listening to groovy lounge or house music. The fire spinners give a good show while you browse through the extensive cocktail menu for “one more”. Unfortunately, the prices are above the average as you would expect from a swanky bar – but who’s counting when you are at a place like this? Peppina is just next door to Coco Tams. In my opinion, it could be presented in any posh interior design magazine. I just love it! It definitely has that hip and cool vibe without being too cool for school. Lounge or house music is played in the background (as you would expect). No wonder it’s super popular! I didn’t eat here, I just came for a quick cocktail to enjoy the sea view and ambiance. All the portions that I saw looked delicious though. Some people say they make mean pizzas as it is an Italian restaurant. I just love this decor! 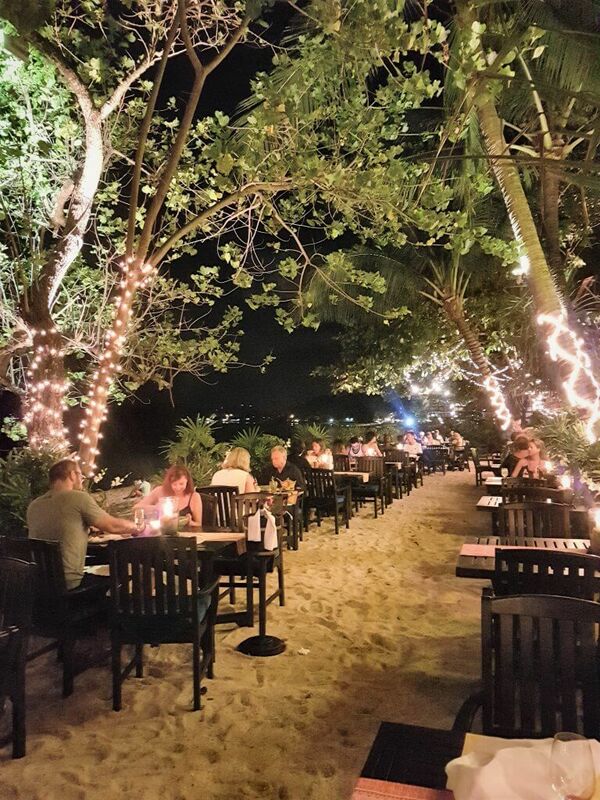 This might just be the perfect place for a romantic date. 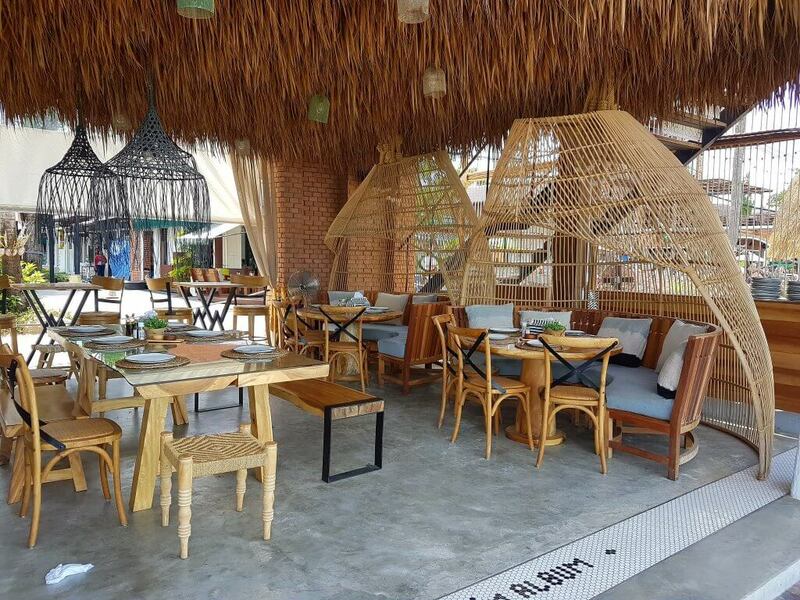 There is the indoor seating area which is very cozy but of course, who wouldn’t want to dine on the beach if there’s a chance? The service is subtle and friendly but most importantly, the food is very tasty. We had a seafood platter which was served with 3 different sauces and a bit of salad. The white fish was the best that I have tasted for some time and the slightly spicy and tangy green Thai sauce complimented this just perfect. Moreover, the green curry was perhaps the best that I’ve ever had. I can’t believe that actually a while ago I didn’t even like khaeng kieow (green curry in Thai) that much. It is just beautiful! 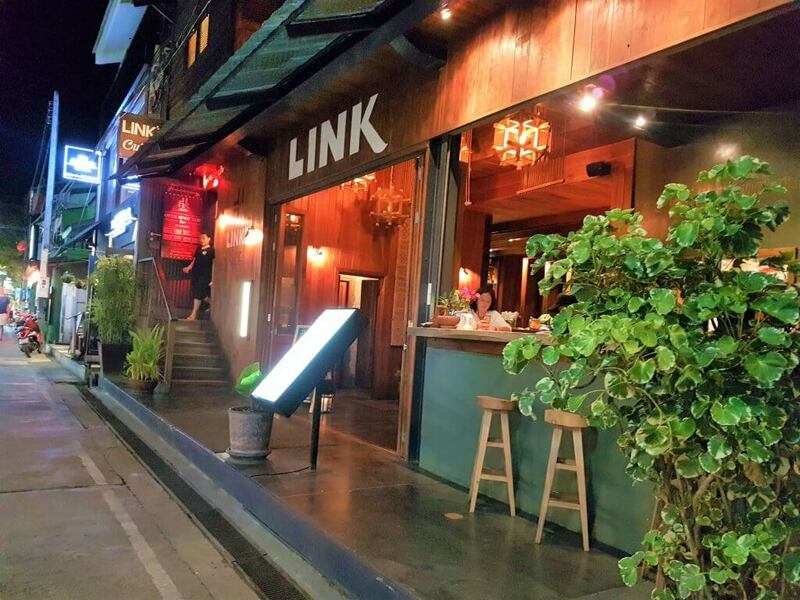 I think the bill was reasonable, 1435 baht, considering the ambiance, service and the quality of the food. Then again, we didn’t drink any alcohol. A mere glass of wine would’ve set you back 300 baht. A gem to be found close to the entrance of the Fisherman Village. The cafe/restaurant is downstairs and upstairs they have a small hotel. 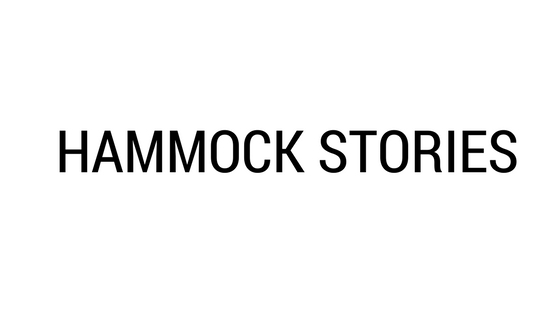 This place has unique and superb quality products which make it stand out from many of its competitors. The people behind Fisherman’s House are professional restaurant and hospitality people. The founder and owner, Mr. Phon has worked for instance as a barista and mixologist. And this shows in the menu. Just really inventive dishes and drinks. The menu has something for everyone: breakfast sets, bakery products, Thai food, healthy chia seed pudding type of portions, inventive cafes as well as cocktails. So you could come here at any time of the day and find sweet and savory dishes to suit your mood. My smoothie bowl was divine and Mum’s fruit som tam (papaya salad) likewise was quite tasty. We finished our meal with the signature coffee, Avocado Club which was a unique and quirky combination of avocado smoothie, espresso poured on top and the whole thing was crowned with a scoop of vanilla ice-cream. This is the restaurant I didn’t have time to visit but it looked exactly my kinda place. Funky, loungey, patio with a sea view and cozy inside. Plus it’s Italian. You can never go wrong with the pizza/ pasta and red wine combo. Here in Thailand, I get to have Italian with red wine quite seldom, hence my obsession with Italian food at the moment. I’m definitely going to check out this place on my next visit. If you’ve been here already, please tell me how you liked it! This yoga shala is just 5 minutes from the Fisherman’s Village Beach Promenade, in a quiet alley, in a tranquil courtyard. 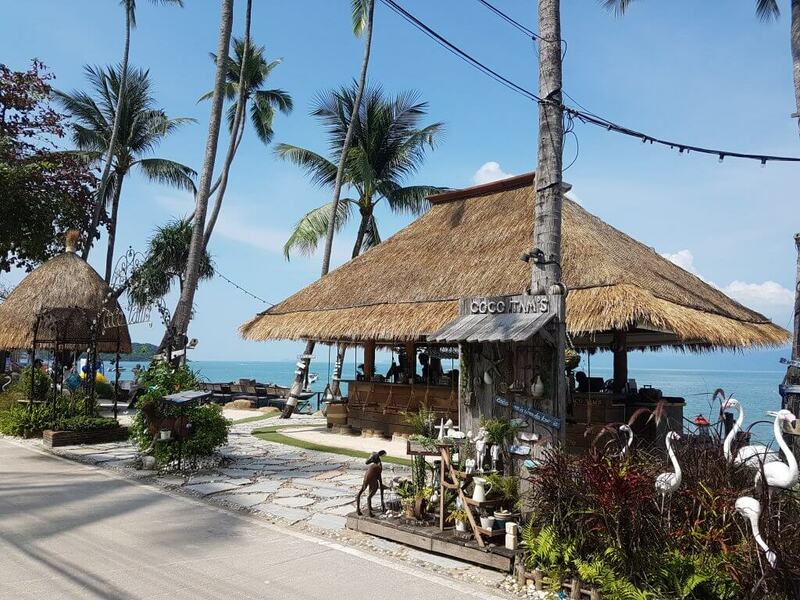 It feels like a calming oasis after driving around the hectic roads of Koh Samui. 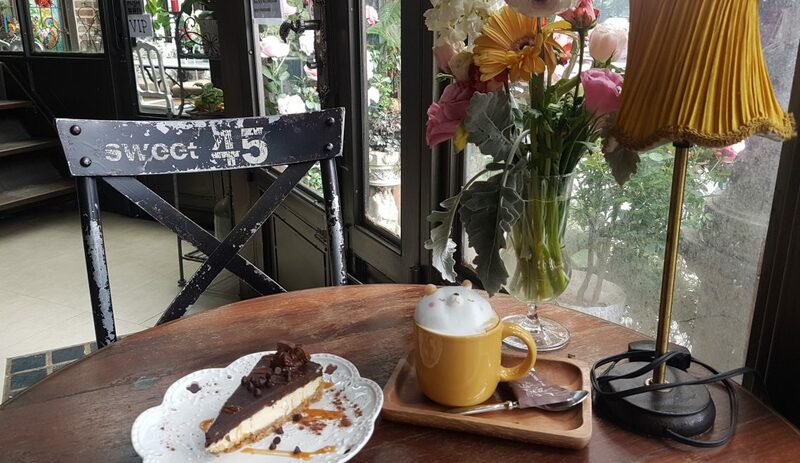 The menu has plenty of healthy vegetarian and vegan dishes, smoothies, and desserts suitable for yogis, such as raw cakes, bliss balls and so forth. 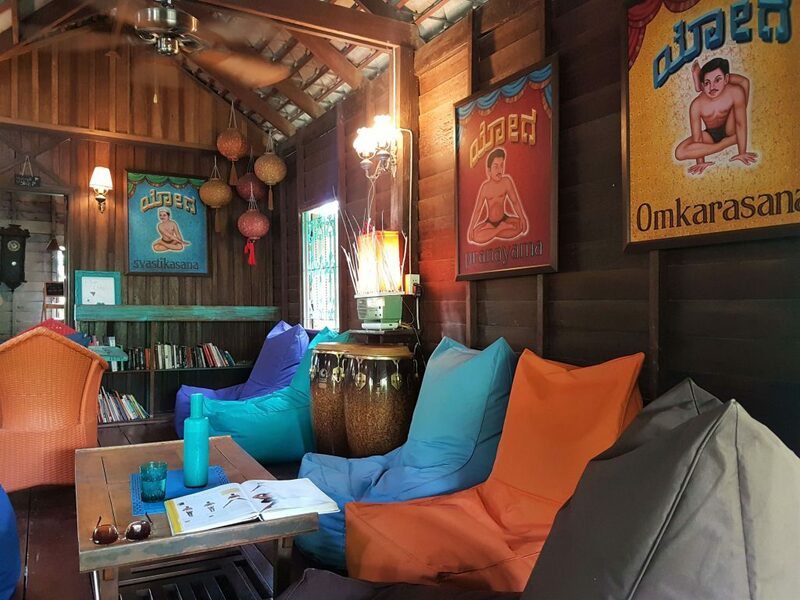 The decor is colorful and oriental and you can browse yoga books while waiting for your food. It can get a bit hot though, compared to the restaurants by the beach which get that lovely breeze from the sea. Anyway, I wholeheartedly recommend this place for vegetarians and meat-eaters alike. 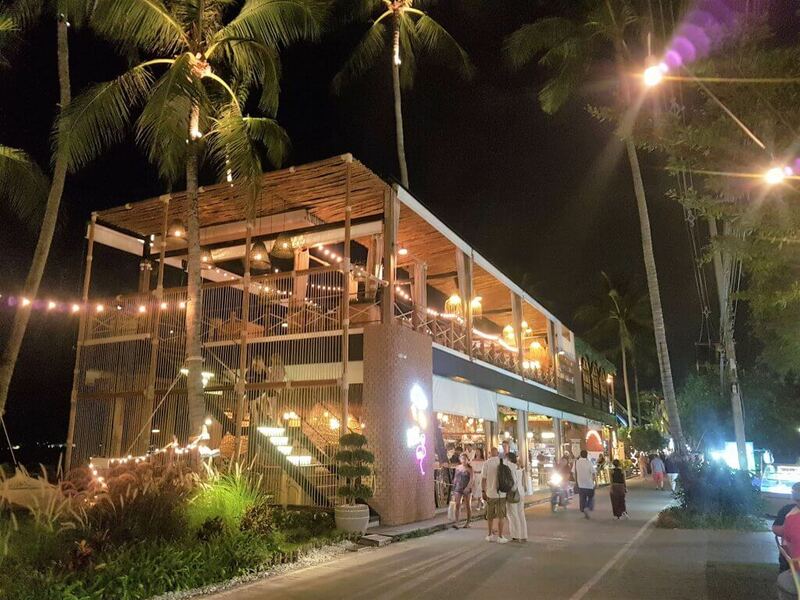 It feels good to escape the hustle and bustle of the streets and trendy restaurants at Fisherman’s Village. 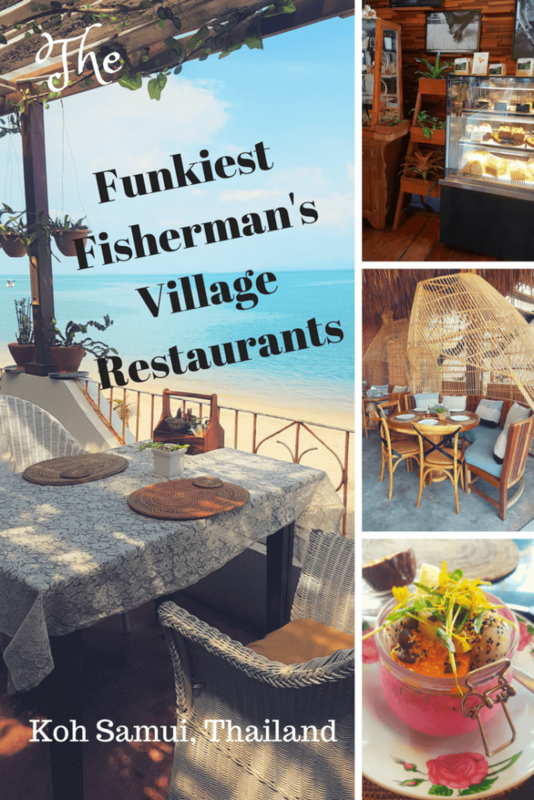 Hope you liked this list of the best Fisherman Village restaurants. If you are wondering what else to do here, have a look at my previous post which was about the different things you can do in Fisherman’s Village. 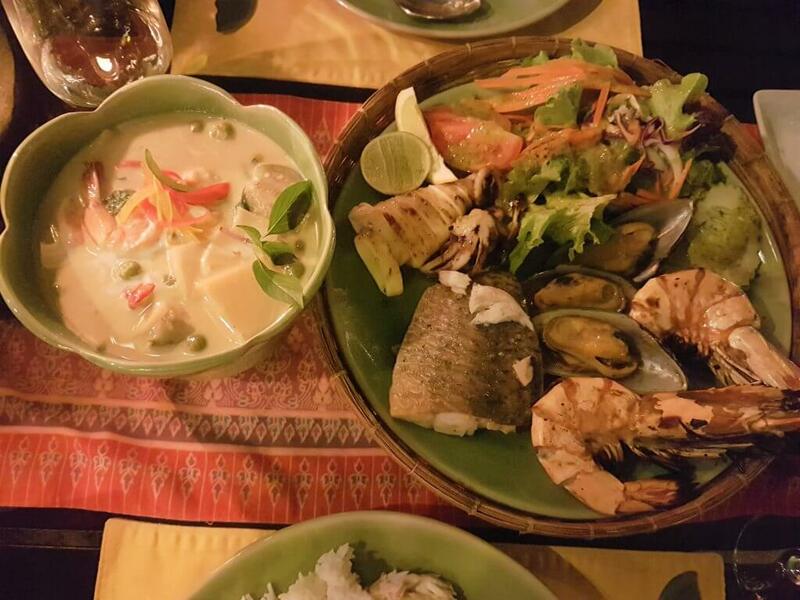 These restaurants are quite pricey but if you are looking for some advice on how to eat in Thailand under 5 pounds a day, have a look at this useful post. I think I like writing about food a lot, haha. These places all look so amazing! I’m swooning at the romantic lighting at Krua Thai. Mmmf! I can’t believe I haven’t been to thailand. this post makes me want to go even more! pinning for future reference. I want to go to Coco Tams!! Swings AND fire spinners?! I’m so in! Yeah, it’s a pretty cool spot, I have to say! Exactly, Gabby, it’s cool that you can do some serious island hopping around here. The only downfall might be that people spend only few days on each one and then don’t get to know the islands so good. Each island is awesome in its own way and has a unique vibe.